How Does the Toyota Camry Fuel Economy Compare to a Honda? For drivers looking for a new sedan, fuel economy can be an important determining factor. Drivers looking at the 2018 Toyota Camry should also take a look at the 2018 Honda Accord. Both offer drivers incredible fuel economy at an affordable price point, but the Accord outperforms the Camry with better fuel economy estimates in the city, comes with more standard features, offers more space inside, and is more capable on the road for real-world, everyday driving. The Accord also comes with a lower MSRP, making it an overall better value. Drivers will be able to drive for longer distances on the road with fewer visits to the pump in the Accord, which achieves an EPA-estimated 30 mpg in the city and 33 mpg combined in 1.5T LX, EX, and EX-L models with CVT. * To compare, the Camry achieves only an estimated 28 mpg in the city, bringing its combined estimate down to 32 mpg. The Accord includes essential standard features such as dual-zone automatic climate control, floor mats, illuminated vanity mirror, and stereo anti-theft, all of which are missing on the standard offerings of the Camry. 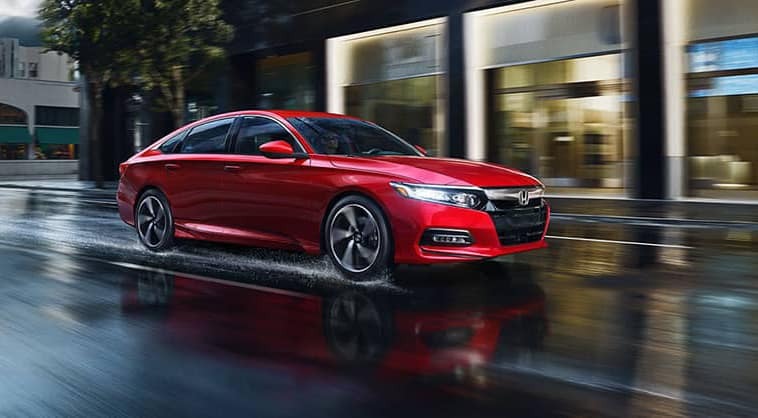 The Accord is also more spacious for both passengers and cargo, with 105.6 cubic feet of passenger space versus just 100.4 cubic feet in the Camry. With a more powerful performance, the Accord hits its peak torque of 192 at 1,600 rpm. To contrast, the Camry peaks out at just 184 lb-ft of torque at 5,000 rpm. This means that the Accord will reach top speed more quickly, and makes merging on the highway and changing lanes much easier. With more features, more space, and better fuel economy, the Accord tops it all off by coming at a more affordable price than the Camry, clearly making it the better buy. The Accord LX has an MSRP of just $23,570,** while the Camry starts at $24,000. Find out more information on the 2018 Honda Accord by contacting us or visiting your nearest West Michigan Honda Dealer. Explore current offers and sit behind the wheel for some firsthand experience with a test drive today. 0 comment(s) so far on How Does the Toyota Camry Fuel Economy Compare to a Honda?